Want to learn more about essential oils and how to use them? Join my essential oil Facebook group HERE. Willow bark. Known as the natural alternative to aspirin, willow bark is actually what aspirin was originally made from. 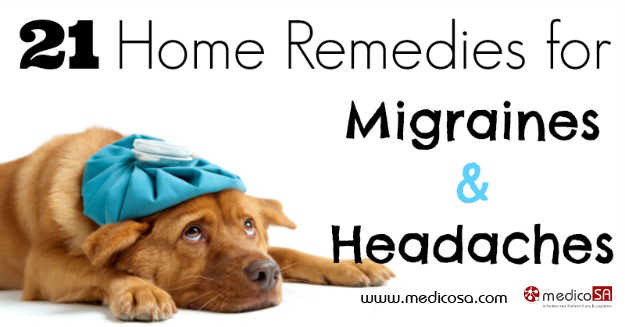 It contains the pain-relieving compound salicin, and is one of the most common natural remedies for headaches. Take a nap. Ever notice how the world seems renewed after a nap? Sometimes just a simple power nap is enough for your body to reboot and squash your headache. Eat something! Headaches are often a sign that you’ve gone too long without eating a balanced meal. In fact, my last headache is a good example: I’d gotten caught up in working and hadn’t eaten in a while. Next thing you know, I had a raging headache pounding my brain. Needless to say, I couldn’t work much after that. An ounce of prevention is definitely worth a pound of cure in this case! Massage. A good massage improves circulation and is obviously relaxing, and it might be just what you need to melt away that headache. In any case, we all need more excuses to get a massage! See a chiropractor. Being out of alignment can definitely give you head pain. Many report that regular visits to the chiropractor is highly effective for relieving headaches and migraines. Feverfew. This herb has been used since ancient times to treat pain, including headaches. Get feverfew tea here. Hot showers. As with a massage, I’m always up for an excuse to take a hot shower. I always feel more relaxed and rejuvenated afterward, which goes a long way in relieving headache pain. Baltic amber necklace (milk and butter color). I don’t know much about amber, but Health, Home and Happiness wrote an excellent post on it recently. Acupressure. Not quite the same as acupuncture (no needles), one suggestion is to pinch the spot between your thumb and index finger. Gently increase pressure until there’s a dull ache, then hold until your head pain subsides. Magnesium. If you’re deficient in magnesium, it could very well be the cause of your headaches and migraines. Correct the deficiency, end the migraines. And magnesium supplements can get rid of a headache that’s already begun as well. Learn more about magnesium here. Cold packs. Whether an ice pack or a cool washcloth, cold can definitely ease headache pain. Yoga. The benefits of yoga include improved circulation, relaxation, healthy blood pressure, and heightened neurotransmitter levels. All of these combined make for a great headache remedy. Cherries. Cherries contain the active compound Quercetin, which is a powerful antioxidant and has strong anti-inflammatory properties. Users report that eating cherries or drinking cherry juice helps tremendously with headache pain. Get outside. Let’s face it: the air inside of our homes and other buildings isn’t ideal. Fresh air is vitally important for health, as is getting adequate sunlight. A few minutes outdoors can be surprisingly refreshing, even enough to relieve your head pain. DLPA. This supplement (a form of the amino acid phenylalanine), naturally increases dopamine levels, which can help ease pain of all kinds. Salt loading. This one sounds interesting (haven’t yet tried it myself), and has to do with detoxing bromide from the body. Read more about it here. A cup of tea. Not only is a warm cup of tea relaxing, but a tea that uses herbs like peppermint or willow bark can also directly help reduce your headache pain. Green tea is also especially helpful, as it contains a small amount of caffeine, which some people find helps with headaches and migraines. Eliminate the cause. This is more of a long term approach, but it’s by far the most effective. Food additives like aspartame and MSG can cause migraine headaches. So can food allergies like gluten intolerance. Find out if your diet is causing your headaches, and you’ll be on the road to real recovery.